When you owe the government money, it can be overwhelmingly stressful. It doesn’t matter if it is for taxes, student loans or even Medical Service premiums. Most consumers assume that the government has an endless means available to them to collect the debt. The Government of Canada, through its various departments of the Canada Revenue Agency (CRA), are responsible for the issuance of income tax refunds, pension and old age security, GST/HST and provincial credits and other government issued income sources. When you owe the CRA money, there is concern that any collection action will result in loss of income and will leave an individual without sufficient resources to meet their basic living expenses let alone any other debt payments. If you are a homeowner, file a lien on your property that would ensure the debt is paid if the property is sold. To avoid collection by CRA, you need to file any outstanding tax documents and continue to file your income tax returns on time each year. CRA is big on tax compliance. It’s not illegal to owe them money but it is illegal not to file your returns. This will help you improve your situation by complying with the tax laws. It also helps you determine how much debt you owe them. Once the amount is determined, you can figure out how you’re going to pay them and also know how much you should be sending them each month for next year’s tax debt so you do not continue to have debt owing year after year. Sending them the money monthly avoids the temptation to spend it and will help stop the cycle of owing taxes every year. After your returns have been filed, start making some meaningful payments towards the debt. The CRA may ask you to provide various documents to help them determine a suitable monthly payment. This may include an income and expense statement that outlines your other financial obligations. Expect to sacrifice some of the niceties of life, such as recreation or vacations, to get this debt under control. This applies not to just CRA debt but also to other debt. And finally, make sure you stick to the payment plan that was agreed. CRA wants to see a concentrated effort and compliance with the income tax obligations. Whatever you do, don’t enter into a payment arrangement that you can’t keep. You will miss payments and CRA will start collections once again. Despite your best intentions to pay the debt, sometimes it is not enough when you owe a lot of money to CRA. It may be the amount of the debt is just too high or perhaps the budget does not allow for a monthly payment. If that is the case, it is recommended you speak to a Licensed Insolvency Trustee (“LIT”) to discuss your options. LITs are debt professionals and can assess your financial situation to determine if a bankruptcy or proposal is the best choice to allow you to make a fresh start. In most cases, debt owing to CRA can be included in a bankruptcy and proposal. With a few exceptions, CRA is treated like any other creditor in insolvency proceedings and must stop their collection activity once a bankruptcy or a proposal is filed. An LIT can also provide continued support to make sure that you are not at risk for incurring future tax debt through the two mandatory counselling sessions. Scammers posing as Canada Revenue Agency (CRA) employees continue to contact Canadians, misleading them into paying false debt. These persistent scammers have created fear among people who now automatically assume that any communication from someone representing the CRA is not genuine. To be sure that it is not a scam, review this website as to what CRA will and won’t do. Contact one of the Licensed Insolvency Trustees at Boale, Wood & Company Ltd. for a free consultation. We will be able to advise you on what solutions are available to help you address the problem. Call us. It’s not too late. (604) 605-3335. Consumer insolvencies in BC increased in November 2018 overall by 1.0 percent from November 2017. Consumer proposals increased 6.7 percent while bankruptcies decreased 7.7 percent. Consumer insolvencies in all of Canada increased 5.1 percent over the same period last year. BC accounted for 7.92 percent of all insolvencies in Canada in November 2018. The proportion of proposals in consumer insolvencies in BC accounted for 63.73 percent during November 2018 while they accounted for 58.93 percent for all insolvencies across Canada for the same period. The proportion of proposals in consumer insolvencies in BC was 59.68 percent during the 12-month period ending November, 2018, up from 57.99 percent during the 12-month period ending November 2017. It indicates the popularity of consumer proposals as a way for consumers to deal with their debt and with dealing with a Licensed Insolvency Trustee over other unregulated service providers. While insolvencies across Canada are down overall by 5.1 percent, bankruptcies are down 3.6 percent, but proposals are up by 12.1 percent. Proposals also make up 55.67 of all insolvencies in Canada in 2018 up from 52.4 percent in the previous twelve months. The insolvency statistics indicate the increasing benefits of the protections provided to consumers under the Bankruptcy and Insolvency Act over other non-legislated options, whether that is a consumer proposal or a bankruptcy. It also indicates that consumers are seeing the benefits of seeking the professional advice of a Licensed Insolvency Trustee rather than those of other non regulated service providers. If you would like to know exact details of how a consumer proposal or a bankruptcy would benefit you in dealing with debt, call us at (604) 605-3335 to schedule a free consultation. For more on the the all Canada statistics, see this page. The latest numbers from the office of the Superintendent of Bankruptcy Canada shows a 2.5% percent decrease in the total number of insolvencies in Canada in November 2018 compared to the previous month. Bankruptcies decreased by 8.2% percent and proposals increased by 2.1% percent. Other stats: For the 12 month period ending November 30, 2018, the total number of insolvencies increased 2.0 percent compared with the 12-month period ending November 30, 2017. Your debt load continues to increase with no change in sight. There are several solutions available to solve the problem. At Boale, Wood & Company you will meet with a Licensed Insolvency Trustee (“LIT”) who will assist you in dealing with any of these situations, with a free, confidential meeting. At Boale, Wood & Company Ltd., we will find a solution that will work for your personal circumstances and your family circumstances. We will discuss all your financial options to be debt free and assist you in the development of a plan recommend the best the best option for you. As you will note, your last choice, as set out above is always bankruptcy. However, depending on your circumstances, bankruptcy may be the best option. We will discuss and set up a plan and financial options that will deal all of your debts including government debt owing to CRA, Student Loans. We will discuss the protection/exemption of various assets and the interrelationship of exempt assets in B.C. (such as car with a value up to $5,000, Pensions, RRSP except contributions in the last 12 months). We will discuss the impact of net your current net income, and how this may affect you in a proposal or a bankruptcy scenario and how surplus income is calculated. To get more information on the options that would work best for you, call the friendly and knowledgeable staff at Boale, Wood & Company Ltd. today. We have offices located throughout the Lower Mainland, Fraser Valley, and the Sunshine Coast. We also serve the Yukon Territory. We can set up a meeting face to face, speak to you over the telephone or via email. Call us, it’s not too late. Communicate with your creditors and find a plan to pay everybody in full. Often the best solution is communication. Everybody feels a little better and appreciates knowing what’s going on even if it’s bad news. At least you are trying to deal with it and not trying to avoid them. Everybody wants a solution. Prior to calling try to have a plan in place to deal with the debt. Think about how you are going to deal with the complete debt load and make sure that your budget is realistic. You don’t want to make payment commitments that you might not be able to fulfill. Whether it is simply asking for more time or a temporary reduction on the interest rate, it is usually better to communicate than to avoid. This is often a very misunderstood option. It sounds good but make sure it is the right option for you. Firstly, do you qualify for a Secured Line of Credit or refinancing? The rules have recently changed for qualifying for mortgage making it harder to qualify. Secondly, it is important to look at the true cost of the loan over the entire term. If you refinance your mortgage and are making payments over a 20 year period, the true cost to repay the debt can be quite high. If you are looking for a debt consolidation loan, the Bank may want a co-signor. Be careful and try to avoid getting another person involved. Keep in mind that even if the monthly payments are lower than what you are paying right now, the new payments might still be more than you can afford. If you have a co-signor and find that you are unable to repay the loan, the co-signor will be fully responsible for the unpaid debt and failure to pay will affect their credit rating. Just because you are consolidating your debts in to one payment, this doesn’t resolve the indebtedness. You still owe the same amount of money, but you simplified the monthly payment. A Debt Management program is an agreement between a debtor and the creditors that addresses terms of the outstanding debts. A DMP is generally administered through by accredited credit counsellors. A counsellor will work with the debtor to try to develop a plan to consolidate all unsecured non-government type debts into one monthly consolidated payment often with little or no interest. The program is designed to pay all debts in full or a specific period, generally 5 years or less. 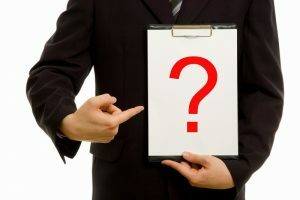 Both consumer or commercial proposals is a formal statutory process administered by a Licensed Insolvency Trustee (“LIT”) such as Boale, Wood & Company Ltd. A Consumer proposal is an offer by yourself to your creditors to repay a portion of all of your debts as full and final settlement of the debt. The term or length of time the proposal settlement can not exceed 5 years. As a general rule, the recover of the Proposal must be better than the creditors would otherwise receive in a bankruptcy scenario. The Proposal is developed with the LIT to deal with such issues potential wage fluctuations, seasonality, taxes and other items. Government debt, including outstanding income tax and student loans, can be included in a proposal to your creditors. If you have a student loan and have been out of school for less than 7 years, student loans can still participate and receive dividends from the proposal, however any unpaid amount will still be collectible once the proposal has been completed. Further, Student Loans will still be able to charge interest on the account during the proposal. A formal proposal to your creditors, filed under the Bankruptcy and Insolvency Act, provides a debtor with automatic protection from their creditors while a payment arrangement that is agreeable to both the debtor and the creditors can be formulated. 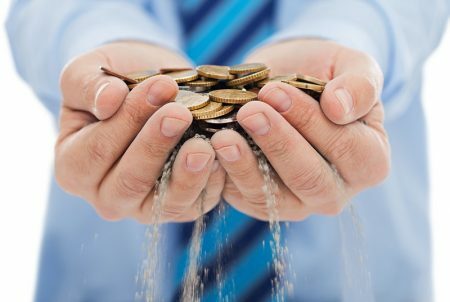 This protection is unique to the options provided under the Bankruptcy and Insolvency Act and can protect you from having your wages garnisheed, your assets seized, or bank account frozen. Bankruptcy is a legal process designed to relieve honest but unfortunate debtors of their debts. It is a formal statutory process with various requirements to fulfill during the administration. These include but are not limited to providing monthly income expense reports together with proof of income, 2 mandatory counselling sessions and assistance in providing documents to file the current and prior years income tax return. Bankruptcy is often viewed as a last resort and most people have an instant reaction to just the word. The decision to file for bankruptcy should not be taken lightly. However, sometimes bankruptcy can be the best option depending on your circumstances. The Licensed Insolvency Trustees at Boale, Wood & Company Ltd. can look at your situation and advise you of the best option for you. Wages are barely keeping up with the cost of living, business executives complain they can’t compete and households are carrying record levels of debt. One of the top concerns of the Bank of Canada is the high level of Canadian household debt. Notwithstanding those concerns, the level of household debt continues to rise, hitting 171.1 per cent of disposable income in the third quarter of 2017. If your debt is starting to feel overwhelming, minimum payments might keep the calls from coming but, you realize that you’re treading water. Is it time to panic or deal with your debt head on? There are some tips that can help you take control of your debt and build towards a sound financial future to avoid having your debts get out of control. Prepare a budget so that you know where you are spending your money. A budget will help you identify areas where potential savings can be made. For anyone who is tech savvy, you can download a number of free apps which might make tracking expenses more fun. The results of will show you how much is left over for debt servicing and where your money is being spent. Curb your spending habits. One of the most common ways to get into debt is overspending. Everyone needs to know where they are spending their money. It’s the little things that nickel and dime you to death that are the problem. Figure out the best way to reduce debt. Two well known methods are called the Snowball Plan. This starts with trying to pay off the smallest debt and leads up to the largest. This occurs while you are still paying only the minimum payment on all your other debts. The other method is called the Avalanche Plan. The Avalanche Plan method starts by throwing as much money as you can at the debt with the highest interest rate. Again all while still paying only the minimum on all your other debts. Once that highest interest debt is paid off you go onto the next highest interest debt and so on and so forth. Lastly get some professional help. Some of you will get a better sense of where you are financially and be able to get out of it on your own. But for most, it won’t be that simple. The amount of money left over at the end of the day will show that you only have enough left over to make minimum payments, which will only leave you treading water. And if something happens where you income is suddenly reduced, you might not even be able to make the minimum payments and you will soon fall behind on the payments. Then the calls will come. So, the best way to meet that debt head on is to take control. Licensed Insolvency Trustees are the go to professionals of choice when dealing with debt. We are mandated to explain all of your options to you. The experienced professionals at Boale, Wood & Company Ltd. understand the stress that financial difficulty can cause. We know that realizing that you are experiencing financial problems is a hard thing to do for most people and sometimes you feel helpless. But instead of feeling helpless, let us help you gain control of your debts and understand your options. Start by scheduling a meeting with us to discuss the solution best suited to your situation. This meeting is free and there is no pressure or obligation for you to make a decision right away. We have the expertise to find the solution best suited to you. Call us, it’s not too late. (604) 605-3335. Self-Employed and Can’t Pay CRA? 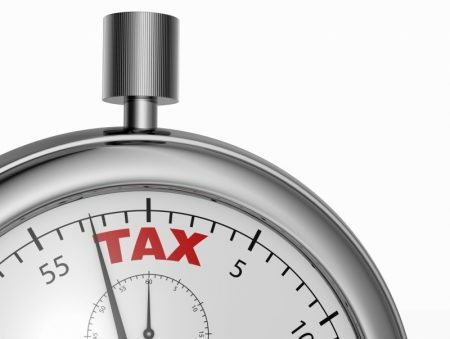 The June 15 deadline for self-employed individuals to file their 2018 tax return has come and gone. And if you don’t have the funds to pay your tax bill you are probably wondering what can be done. If you owe taxes and are struggling to come up with the funds to pay the Canada Revenue Agency (“CRA”) you need to speak with us right away. Don’t delay. There are debt advisors out there who state that they can “settle” or “reduce” a tax debt with Canada Revenue Agency. If it sounds too good to be true, then it probably is. They don’t “negotiate” and they don’t “settle” tax debts. CRA is not your typical creditor. They didn’t choose to lend you money and become a creditor. They become a creditor by virtue of the self reporting tax system we have. And they want to be paid. In full. They are not business people in the traditional sense. Collectors have no authority to settle or reduce a tax debt save and except for circumstances governed by the Income Tax Act or the Bankruptcy and Insolvency Act. They also have extraordinary powers. This would include issuing garnishees to banks, investment sources, and to your customers. They file liens and writs on a daily basis. Firstly, CRA collections will demand payment. If you pay, all further action stops. If you don’t pay, the collection action gets stepped up a notch. There is no negotiation over how much you owe. The collector has no authority to do that. If you fail to pay, the agent assigned to your case will begin contacting you to try and find out as much as they can about you. Once you have engaged in a dialogue, the agent may try to negotiate with you if you provide further information. They may offer to consider a payment plan. They will provide you with a financial disclosure form asking you to disclose where you live, work, bank, monthly income and expenses, debts, and assets. Income available over and above basic household needs or in the case of a business, monthly operating costs. Your ability to borrow or liquidate assets to satisfy the debt. Your housing information will be used to place a lien on your home. So when you hear debt advisors saying they can settle the debt. Be careful. Yes, but not until the Licensed Insolvency Trustee (“LIT”) is discharged AND the bankrupt is not discharged. When a person declares bankruptcy, there is a Stay of Proceedings that prevents creditors from pursuing collection of their debt. The Stay is automatic. It is not a Court Order and doesn’t have to be applied for. It is set out in the Bankruptcy and Insolvency Act. The Stay of Proceedings protects the debtor from any collection activity by his unsecured creditors and allows the LIT to administer the estate without creditor interference. 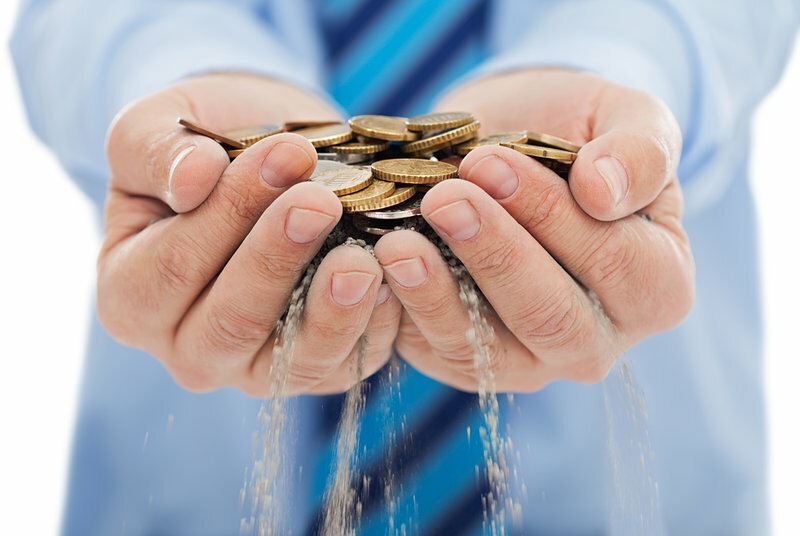 When the debtor is discharged all his unsecured debts, with a few exceptions, are erased. 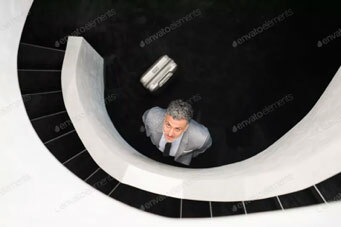 In some cases the debtor does not obtain a discharge from their bankruptcy. This is usually due to the debtor failing to perform the duties imposed upon them, or hasn’t paid the estate pursuant to a Mediation Agreement or Court Order. Once the LIT is certain the debtor is not going to honour his obligations, the LIT would typically proceed to close its file and seek their own discharge from the bankruptcy. At this point the Stay of Proceedings is lifted and the debtor’s creditors can pursue him for debt collection just as though he was never in bankruptcy. However, there is nothing stopping the debtor from then going back to the LIT to comply with their duties and seek their discharge. This is why it is so important for debtors to obtain their discharge. It’s not about getting onto bankruptcy, it’s about getting out. Headline: Half of British Columbians will need a pay raise to help pay off debt. Headline: Bank of Canada deputy governor’s “Progress Report on the Economy”. Headline: IMF Flags Housing, Competitiveness as Canada Economy Risks. 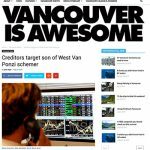 The popular online publication Vancouver Is Awesome, and the North Shore News have published a new article on the latest development in the on-going story regarding Virginia Tan. Last year, Tan admitted to fraudulently raising at least $30 million from investors as part of a Ponzi scheme. The admission was part of a settlement with the BC Securities Commission. Bankruptcy trustee Boale, Wood and Co. filed a notice of claim against Marcus Soon-Keen Tan of North Vancouver, alleging six properties he acquired in connection with a real estate development in Surrey since 2011 were bought with funds his mother defrauded from investors. The bankruptcy trustee is asking the court to transfer ownership of the properties to the trustee for the creditors’ benefit or for Marcus Tan to pay back investors whose funds were allegedly used to buy or make payments on the properties. The trustee has also asked the court for records tracing money received by Marcus Tan from either of his parents and for assets bought by him with funds from either of them. No statement of defence has been filed and none of the claims have been proven in court. 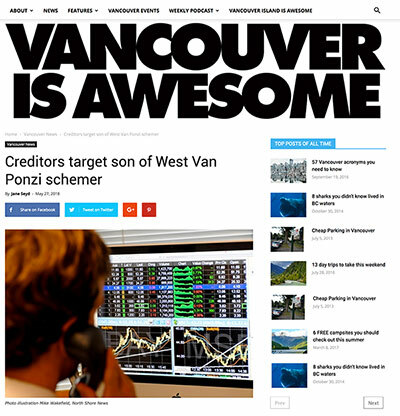 You can read the story in Vancouver is Awesome, or on the North Shore News online.